GPS applications have now come down to the level of being used in your mobile phones and therefore, are much handier than the actual GPS devices, which are quite bulky and which you cannot be carrying always with you. Having this in mind, mobile phone GPS applications are developed in plenty for the convenience of your use, and many a times they come preloaded. This is the Google Maps application that has been brought down to the mobile phone, which acts as GPS device on your mobile allowing to find the exact locations where you are in at that instance and the way to which ever place that you would like to go. This application is available for Android 1.6 and higher platform or operating system powered mobile phone users only. This includes many of the other features of a GPS like Street View and Satellite Views. Loopt users have the convenience of sharing their current location with fellow Loopt users, which is the highlight of this application, and this works on all of these networks, AT & T, Sprint, Verizon, Boost, MetroPCS and T-Mobile. This GPSmobile application also intimates you when one of your colleagues in the Loopt loop is nearby. This provides both satellite and map views, and helps you to decide to change routes based on the predicted traffic delays. This application was designed exclusively for use by Android users and is a GPS application that permits to find your exact location and send a link guiding to your location to anyone. Besides, using this software application will require no registration or creation of an account and can set a time limit for the link to be available for a maximum of 4 hours. This is a very cleverly designed GPS application that uses your current location to auto adjust your phone settings at your choice of deciding the functions that needs to be updated based on your location. Some of the functions that can preset are reminding when to recharge the phone, when to turn the profile to silent mode and many more. 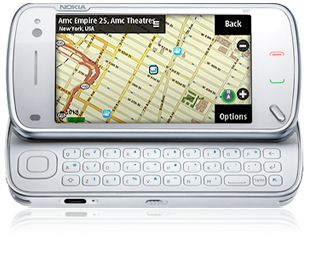 This helps you to locate places in your nearby location like restaurants, movie theaters, hotels and banks. This is most used application using my Android mobile which I got out of the earnings from my weight watchers promo and E-diets coupon codes blog. This not only gives the directions and address of the places that you are looking for but also the ratings of the places that you are interested to visit, and sometimes photos of the location also. This GPS application developed for mobile phones helps in planning your travel route as you travel, and is especially useful when you are travelling in cities, which are much prone to traffic, so that you can change the route and reach the desired destination without delay. This is very useful in North America, and requires storage of maps of the places that you are visiting and has better user interface.